Baca’s Robert Barker has been invited to speak on the topical subject of water at the forthcoming ECOBUILD show next month. The Baca Director will be sharing the Practice’s specialist knowledge, vision and solutions in a talk entitled ‘Water-based Design’ during the Future Cities seminars. As demonstrated by the continuing fall-out from the devastating floods that have been ravaging parts of Britain in the past months, the importance of factoring water into future planning and architectural design is intensifying. Robert will be drawing on Baca’s award-winning research, the LifE Project (Long-term Initiatives for Flood-risk Environment), to discuss alternative ways in which we can work with water, rather than defend against it, to cope with increased volumes of water in the future. Robert will also be presenting some of the Practice’s cutting-edge, flood-resilient designs, including the UK’s first Amphibious House and award-winning Nijmegen ‘Room for the River’ project. 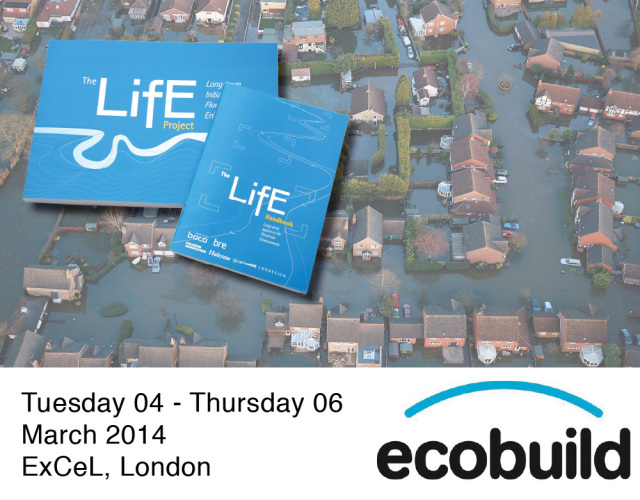 You can hear Robert delivering his talk at the Water-sensitive urban design (WSUD) – managing urban water seminar, taking place at ECOBUILD between 14:30 -16:00, 4th-6th March 2014, ExCel, London.